Great News for Capoeira Mandinga Shanghai! 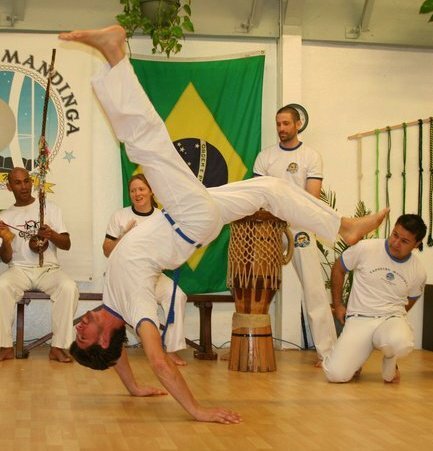 Instrutor Pezão from Capoeira Mandinga Oakland will come to Shanghai and will teach classes during the first three weeks of April helping us to get ready for our 5th Batizado, which will take place in Nanjing on the 21st and 22nd of April with the presence of our Mestre, Mestre Marcelo Caveirinha. People interested in capoeira and capoeiristas from other groups are all welcome to participate! More details will be released soon. I’m interested to learn Capoeira. Would you inform me venue of the training course, and how I could come for a trial and probably enroll it if possible?